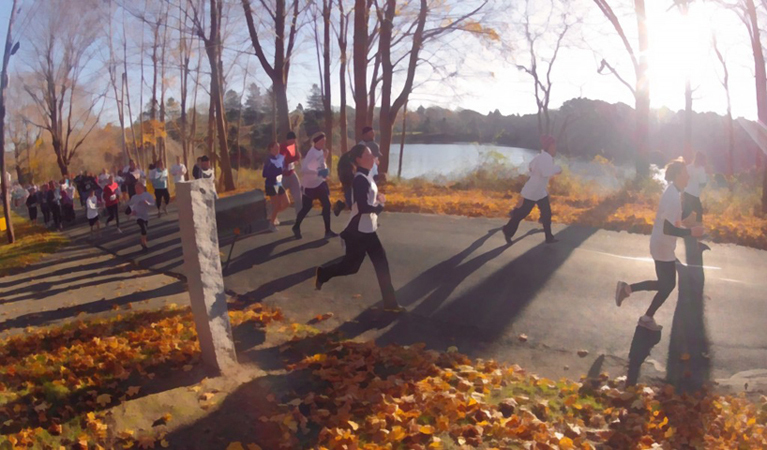 Thanksgiving Sandwich 5K – Join the Fun on Behalf of our Community! The entire Sandwich Public Schools Community is encouraged to participate in a a new-old tradition this week. The SHS Athletic Boosters, under the leadership of Jen Hurley, is sponsoring the beloved Thanksgiving morning 5K which brings the town together for a brisk walk/run to start the day. 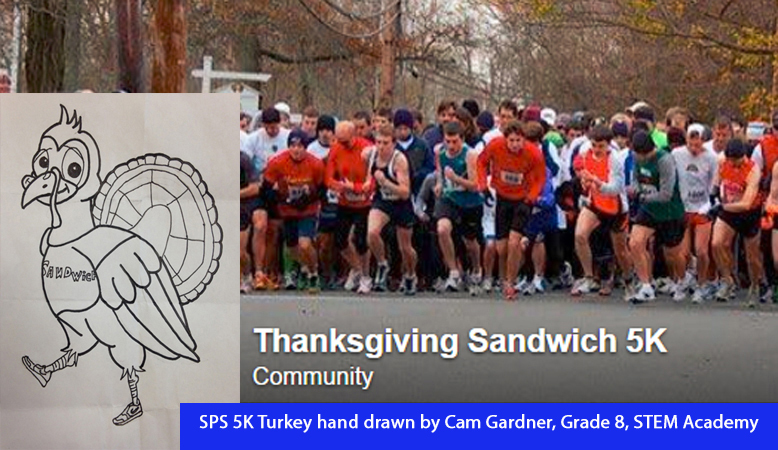 The 5K starts at 8am on Thanksgiving, November 26, 2015 from the Henry T. Wing School on Rt. 130 in Sandwich, Mass. It is a scenic 3.1-mile route through historic Sandwich encompassing Town Hall Square, Shawme Pond, the Heritage Museum, and Main Street. Rain or shine! Then, at 10am, head over to DeConto Memorial Stadium at SHS for the Blue Knight’s Thanksgiving Football Game vs. Mashpee! Children 10 and under have the option of participating in the Lil’ Gobbler Run, a short 200-yard fun run staged from the 5K starting line at 7:45am. To participate, children are required to donate one of the following items: roll of toilet paper, bar of soap, or tooth brush. Registration is $20 and benefits the Sandwich Food Pantry and other designated Cape Cod and area food drive organizations. Register in-person on Wed., Nov. 25th from 4-6pm or Thanksgiving morning from 6:30-7:30am in the gymnasium at the Henry T. Wing School. When registering, bring your completed entry form and payment. Cash, checks (made out to “SHSAB”), or credit/debit cards will be accepted. You will be given a 5K bib number to be fastened to the front of your jersey. • For safety reasons, DOGS ARE NOT ALLOWED. Please use the lots behind the school along Morse Street and to the side of the school along Beale Avenue. • On Thanksgiving morning, NO PARKING along Rt. 130, on Beale Avenue, or in the front school lot. The 5K is a “Fun Run.” A clock will be placed at the finish line and you will keep track of your own time. We will record times for the first 100 5K finishers, only. When you cross the finish line, keep your place in the chute.